Flip a coin until you get tails. Until then the opponent's Pokémon takes in 20 damage. 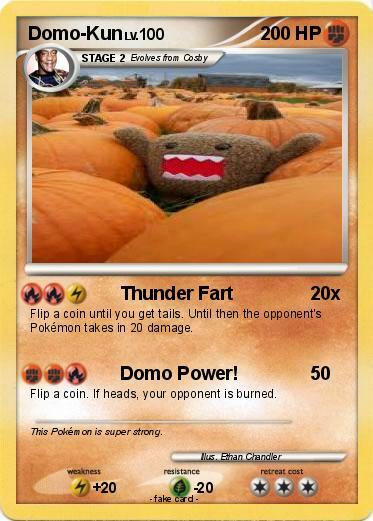 Attack 2 : Domo Power! Flip a coin. If heads, your opponent is burned. Comments : This Pokémon is super strong.